Esteemed residents of the town of Citalá and its outlying districts, citaltecos residing in San Salvador and outside our native borders, I feel exceedingly proud to be able to present myself before you. 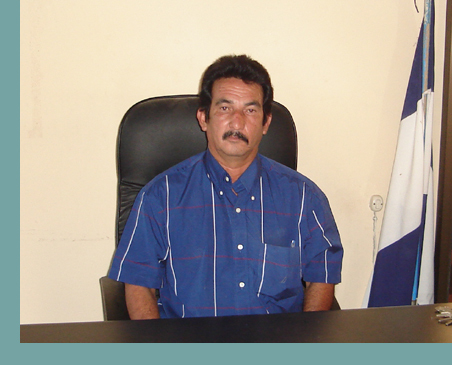 I wish to thank God, the town council and the work team of this office, and in particular all of the residents of Citalá, for having entrusted to us the leadership of this municipal administration and for their unconditional support in these first months working toward the development of our beloved Citalá. On such a memorable occasion, I pledge to support myself, as well as my fellow citizens, with the desire of collaborating with them in their necessities and delivering better standards of living. Local development can be understood as a process oriented toward the improvement of citizens’ quality of life by means of strengthening their capacity, technological opportunities, and alliances, while taking into account citizen participation, public and private resources, and the fostering of internal and external capacities in the form of individual effort or partnerships. The municipality of Citalá is improving itself day by day, thanks to the management of the municipal authorities and local committee working together before our national government, and friendly cooperating governments, in search of funds, so that some day not far off, we can count on the properly paved highway that will unite us with city of Metapán and the construction of a reliable bridge over the Lempa river (given that the current bridge was constructed provisionally and is concluding its lifespan). We are also striving for the improvement of potable water systems, the construction of paved roads in our beautiful outlying districts, and the introduction of a citywide sewage system. We wish to take advantage of this technological medium to assert our will to transform our municipality and discover, through this space, strategic partners who wish to invest in manners private, social, etc., and extend our thanks for supporting us and for believing in local development. Together we can change reality. Mr. José Lorenzo Valdivieso Galdámez.